Introducing Onsmo O2 Red Edition Starter Kit! Good for online boutique and home studio. Onsmo Red Edition O2 Studio kit bundled set promo! Free within Peninsula M'sia and Free Warranty 1 year. For Sabah, Sarawak and Labuan, please check with us the postage (pos-laju) for East Malaysia before proceed to purchase. 1. 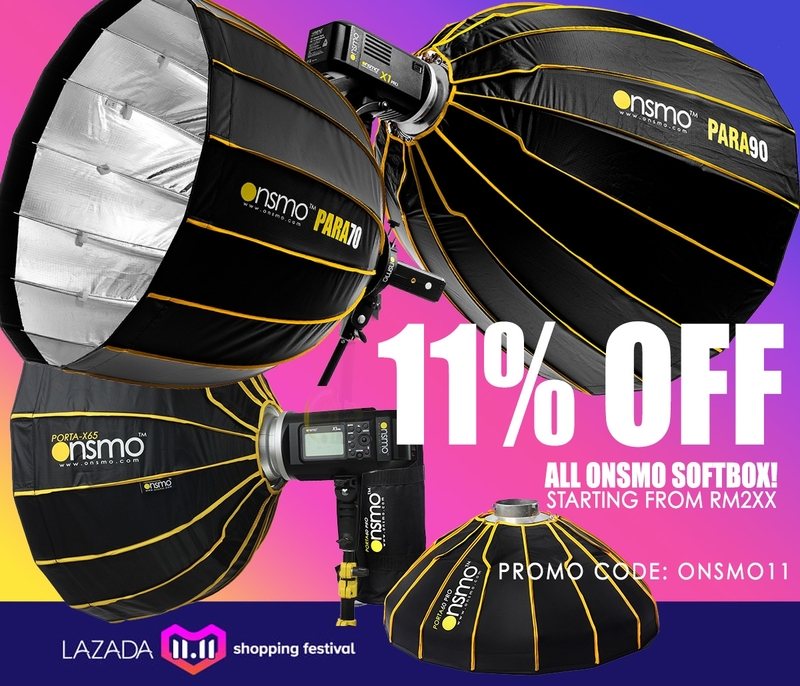 Recommended for photography, home studio or studio setup for portrait and product.